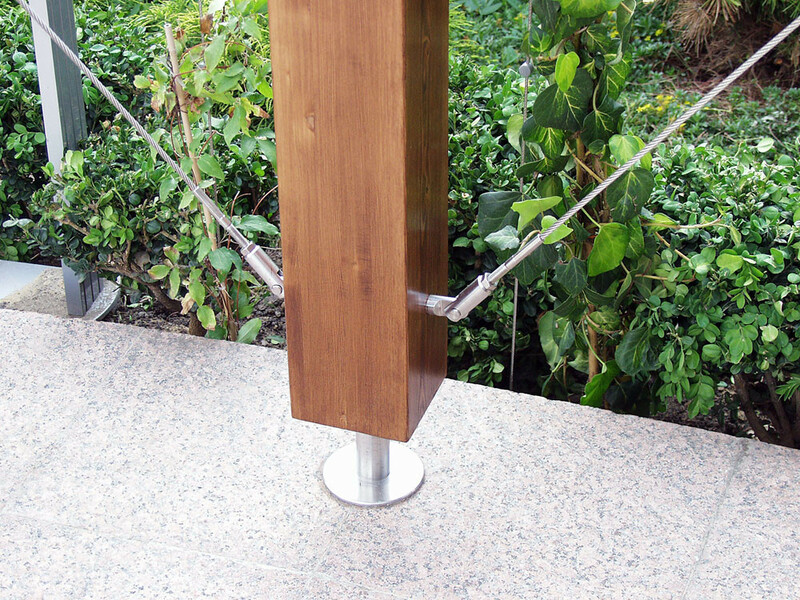 Tensile systems can be utilised at all scales of building to provide increased amenity to a space. 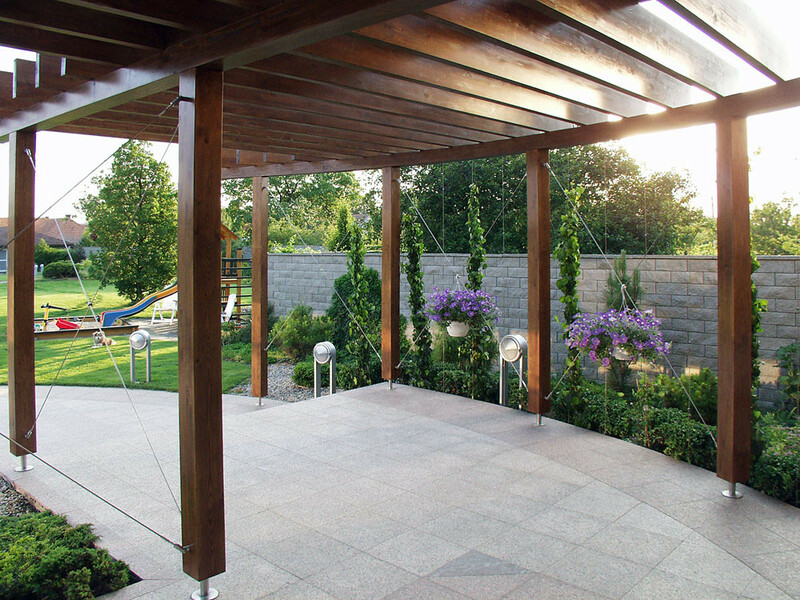 The use of the Jakob Green Solutions range on this domestic pergola in Switzerland show how simple clean details can be used to enhance the space providing privacy, solar shading and a closer relationship to a project surroundings. 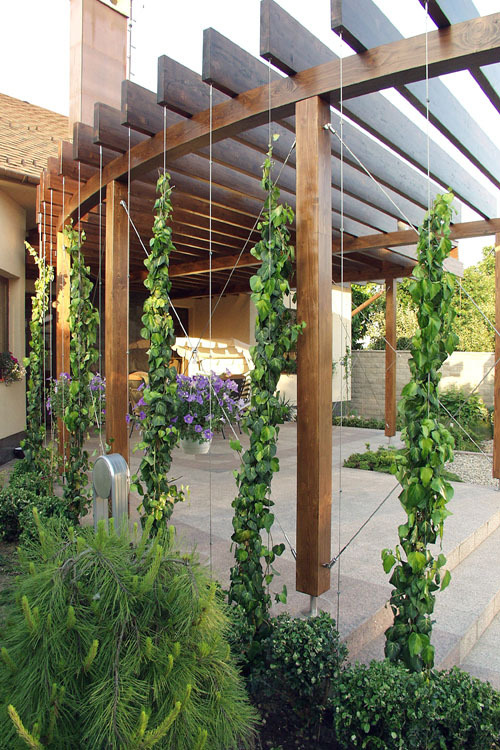 The cables shown use a 4mm diameter stainless steel wire which is typical for domestic scale work, in many of our arbor/pergola structures the cables play a double role as bracing along with planting structure. Species selection is often critical in the final design of our systems and understanding how a specific plant grows and what its needs will be at maturity ensure with regular maintenance success for enjoyment of the users for many years to come.